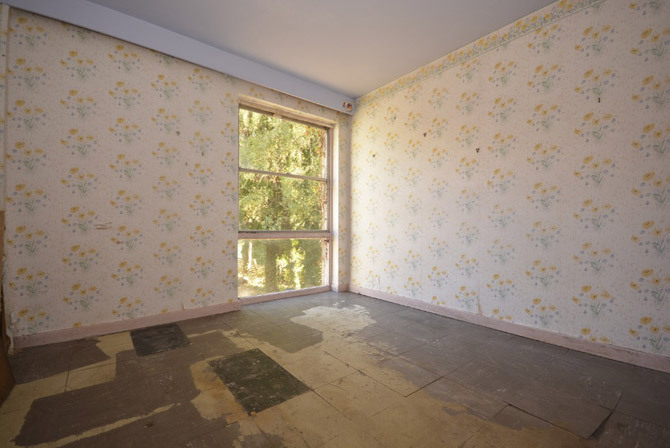 How does a renovation project grab you? 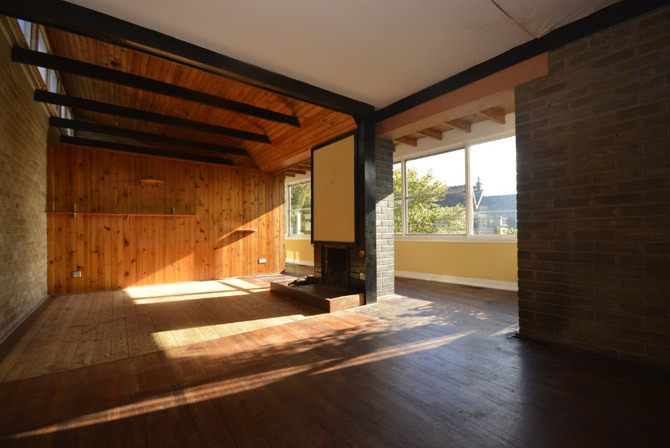 If it does, check out this 1960s modernist house in Bridge of Allan, Stirling, Scotland. It’s an interesting house and with one with a bit of pedigree. 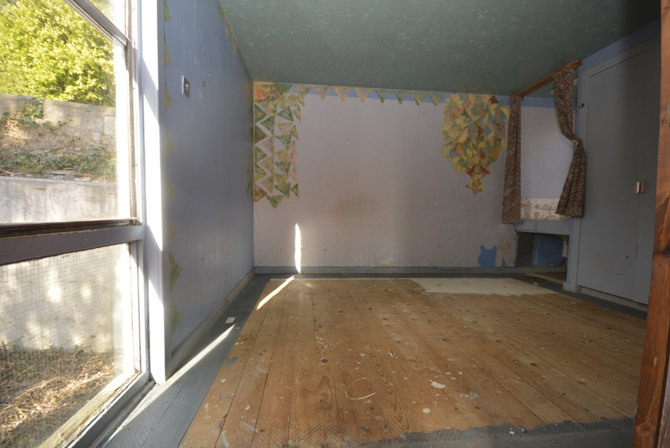 But it is also a house in need of a lot of work. But on the plus side, it does have price on its side. I’ll come to that later. For now, it’s all about the house. 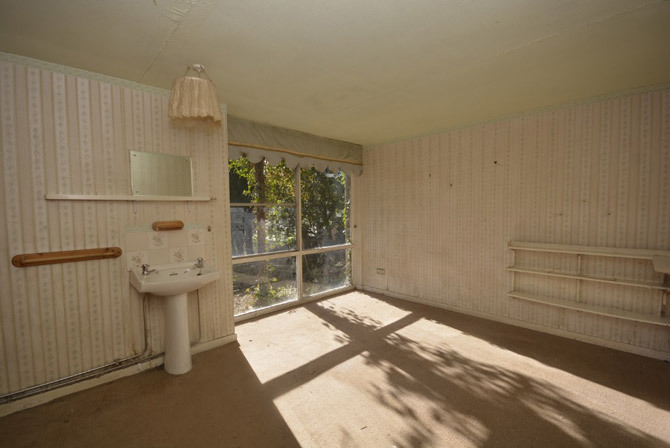 That house was actually up for sale in May, but since then the site has been cleared and the house emptied of possessions. So you can probably see just what is ahead of you now more so than in the recent past. 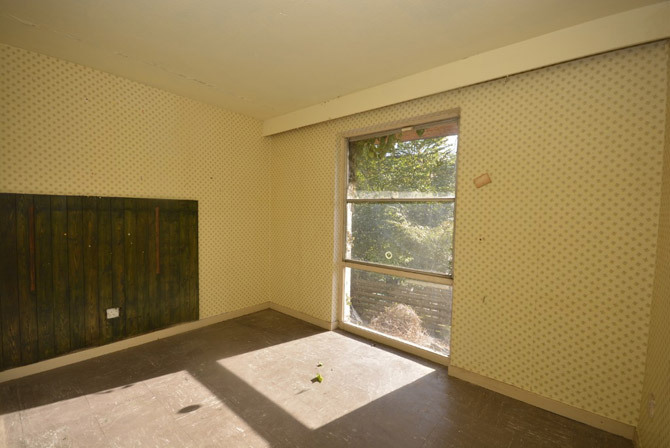 What you have is a house known as The Rowans, dating back to 1968 and built by local architect Archie Ferguson for his own use. 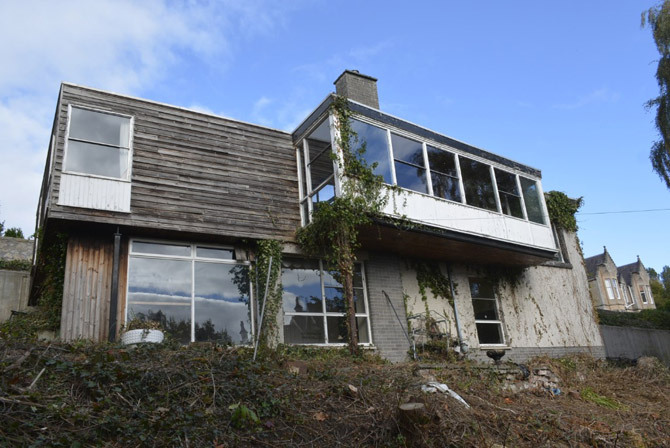 It is a design that has been talked about positively by Buildings of Scotland and one that is now up for sale following the architect’s death. 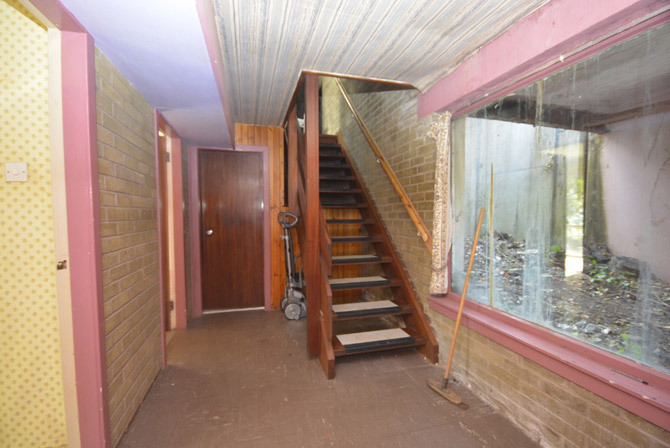 In fact, it is being re-marketed at a lower price point, presumably taking into account the work required on this place. 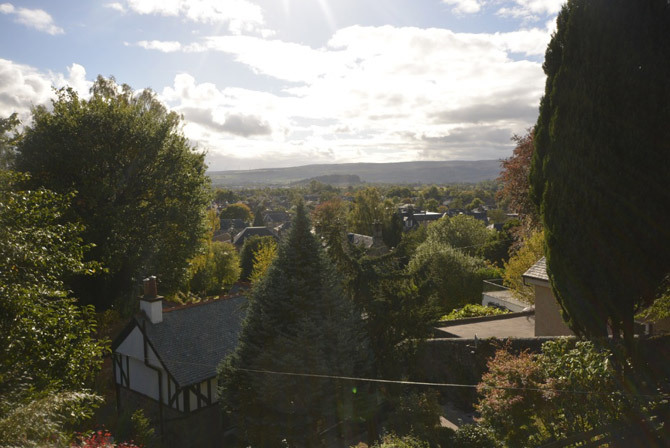 But there are so many positives at play here, not least the location and plot, the latter being elevated and looking out towards Stirling Castle and the Wallace Monument. 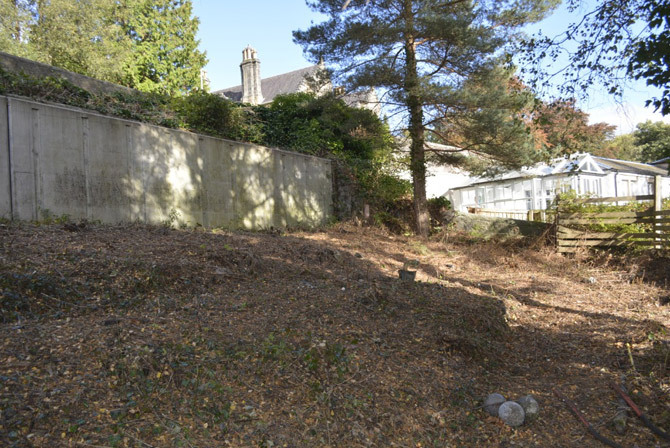 A good-sized plot too, which does offer possibilities for redevelopment. 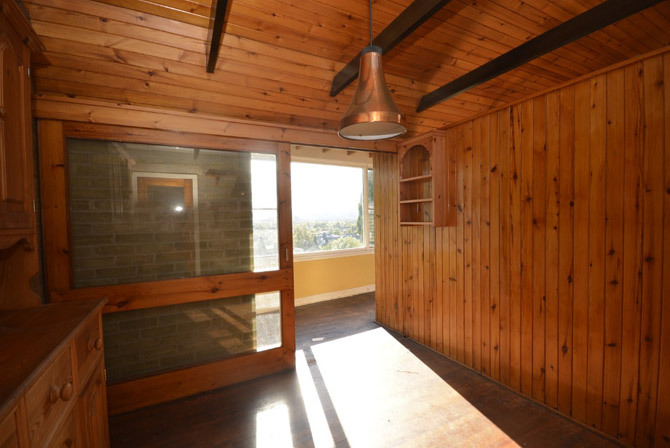 But hopefully someone will see the beauty of the house on offer here. Ok, nature has started to take over a little on the outside, but you can still see how this was once a striking piece of 1960s architecture. It can be once more. It has a number of interesting details inside too. That includes the features window, beams, wood panelling, exposed brick and the feature fireplace in one of the living rooms. 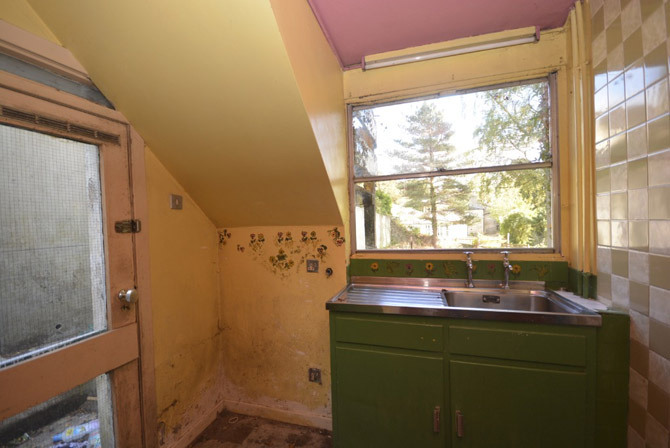 There might well be an original kitchen to re-purpose too. So yes, a survey is required and this will need some significant investment, but the word potential does loom large. A good amount of space too. 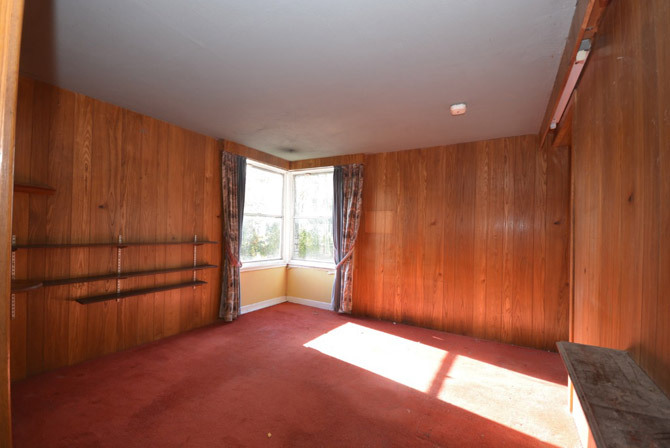 The lower floor has an office, a wet room, a utility room, storage area and three bedrooms, as well as the main hallway. Upstairs hosts that striking lounge, a second lounge, a dining room, a further bedroom, the kitchen and a WC. 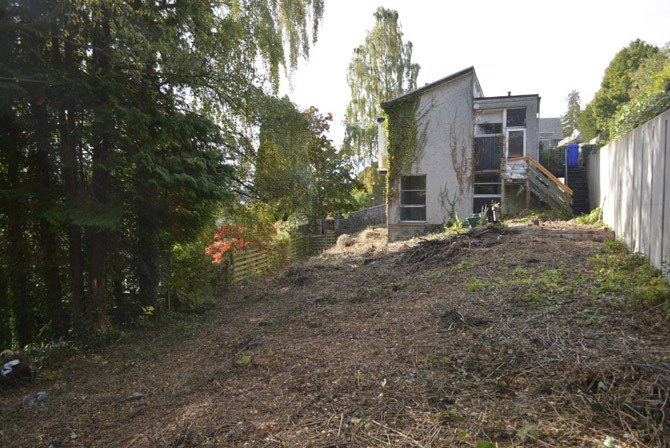 Oh and outside space that looks considerable too, especially now all the trees and foliage have been cut back. Again it’s an area that needs work, but it could be a nice bonus for this place. 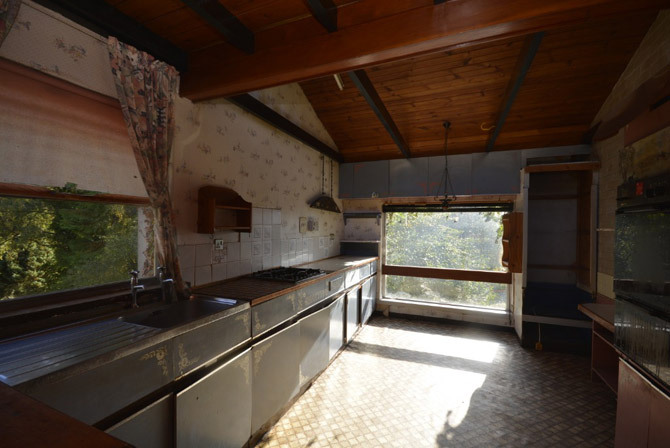 As for the price, that’s offers over £242,000, which is a significant drop on the last time it was marketed. One for the brave, but often being brave pays off. 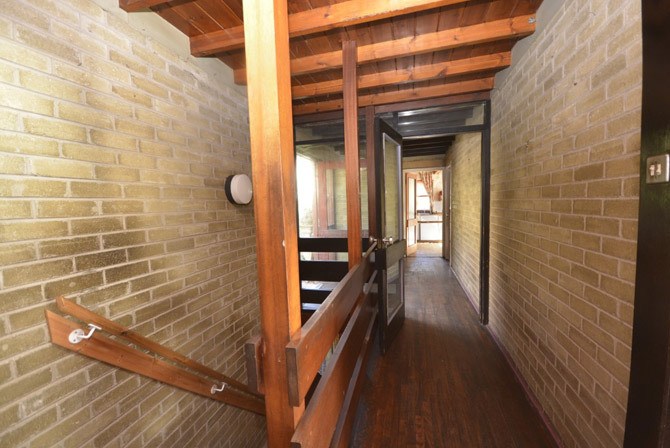 Images and details via Clyde Property. See all the details at its website.